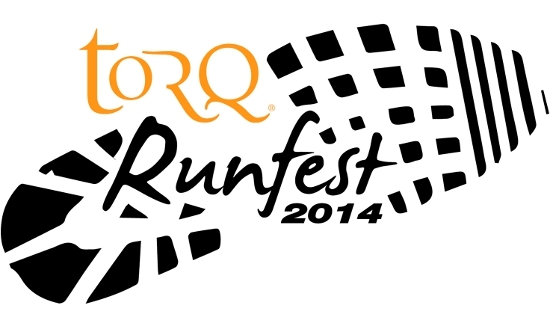 TORQ are proud to headline sponsor the brand new Runfest taking place on 14-15 June 2014 in Bristol. Following very similar principles to the hugely successful and iconic Bikefest, the TORQ Runfest is a 12hour (with a 6hour and 3hour option being run within) trail running relay event which is open to teams/pairs and solo runners. Runners try to complete as many laps as possible within the 12 / 6 / 3hours with only one runner per team running at a time. Obstacle challenges and ‘chicken runs’ will be built into the course to spice things up a bit. Following the growth in running in general and in particular, trail running, paired with the close proximity to Bristol, one of the biggest cities in the country (which has a huge running audience) the event is set to be a huge success. TORQ have been a major player in Mountain Biking and Cycling in general for many years now and in 2013 we launched into the running market. Our involvement in this event symbolises our desire to support a cutting edge running event in the same way as we have supported cycling events for many years. As we know the organiser well, we also know what he’s capable of, so it stands to reason that we have chosen to be title sponsor of ‘Runfest’. The Runfest will be based in one of the most versatile parks in the city – Blaise Castle Estate. Located in the north-west of the city centre, the park enjoys a sheer endless network or trails, water features and plenty of elevation to find the perfect mix for the TORQ Runfest track. On top of that the picturesque Castle, an array of other historic buildings tower above the event venue, many of them lining the course. The line-up for the weekend will be very much focused around the Runfest however there will be a number of other smaller and more specific events (kids race, father & sun race, ladies runs, 10km challenge etc.) taking place on the Sunday of the event weekend. The launch of Runfest goes hand in hand with initiatives of the Bristol City Council as well as England Athletics to push running and trial running in particular to the next level. We will be working closely with the events team of the Bristol City Council, which will help to open up the event to a huge audience. There’s only a holding page on the Runfest website right now, but further information will be available at www.run-fest.com towards the end of January.